Want that continental look? Look no further! 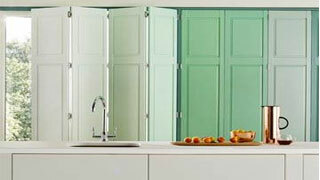 Café-style shutters are the essential choice in Vienna, Paris and Barcelona. And the fabulous design is getting more and more popular across Britain. Summoning thoughts of continental chic, café-style shutters will give your home a sophisticated and modern touch. Only the bottom half of a window is covered, so even when shut the design will allow natural sunlight to fill a room without worrying about losing a sense of privacy. 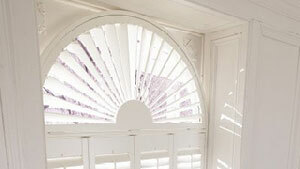 If you require more sunshine in your room just tilt the louvres in a café-style shutter so they are completely open. 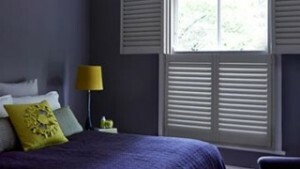 Do you want café-style shutters for the lounge, dining room or bedroom? If so, you’ll probably prefer a design from our timber and craftwood ranges. 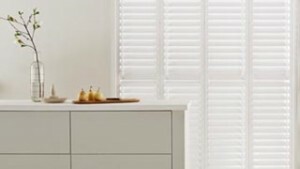 However, if you’re choosing café-style shutters for the cloakroom, utility, en-suite or kitchen then give consideration to our water-proof collection. You can have a wood or painted finish to suit your taste from the wide range we have to offer. Book an in-home appointment with one of our advisors and benefit from an expert’s knowledge while choosing your perfect café-style shutter. As well as offering you all sorts of ideas, your advisor will measure the windows and provide you with a no-obligation quote. So, you don’t need to be having a caffeine break in Paris to appreciate café-style shutters. You can now enjoy them every day in your own home. 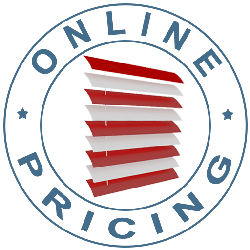 Why Choose Café-style Shutters From us?